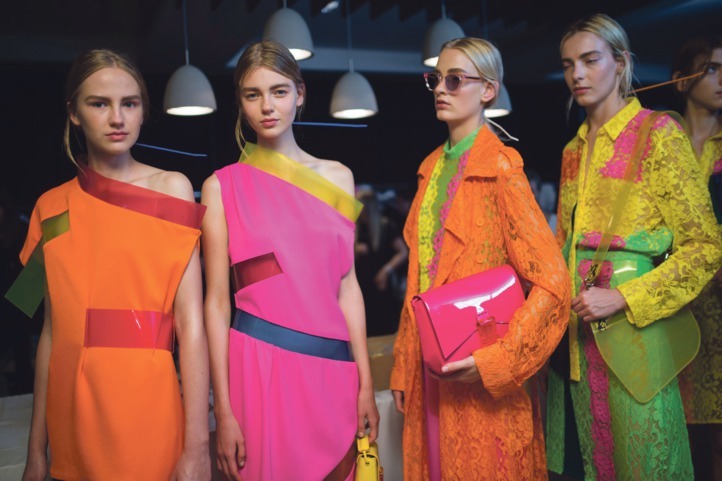 For SS16, Aspinal of London have joined the likes of Christopher Kane, Roksanda & Stella McCartney to interject some rainbow brights this season.The SS16 catwalks were a kaledidoscope of colour, read about our fellow colour inspired designer collections here. "Christopher Kane... combined paint-inspired prints and modern art influences in a series of vibrant fabrics in his SS16 collection. 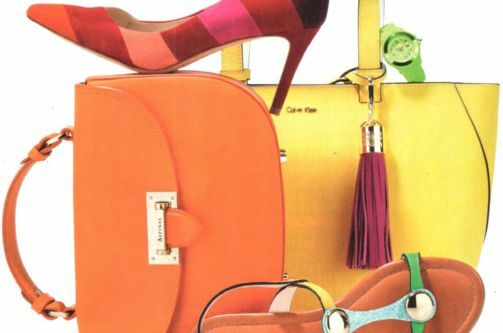 Acid yellows, oranges and flurescent pinks were juxtaposed in clashing fabrics and prints." "Set to a dreamy instrumental Max Richter soundtrack Ilincic opened with gossamer light leather dresses, with neat bodices and swooshy flared midi-length full skirts, punctuated with thick black waistbands and splashes of orange and silver. Metallic, narrow cropped trousers were given extravagant side ruffles, nifty strapless satin jumpsuits (a little Andy Pandy goes out) were in thick striped orange, blue and mauve, while dresses in the same striped fabric had giant flared arm details, picking up on one of the recurring themes of the week: a sleeve with added va va voom interest"
"Stella McCartney opened her show this morning with a series of stretchy tube looks in striped and plaid jersey. They were sporty; some comprised of buttoned-up preppy polo shirts and maxi skirts and others took shape as racer-back dresses. In punchy hues of green, red and yellow they were a lively opener. 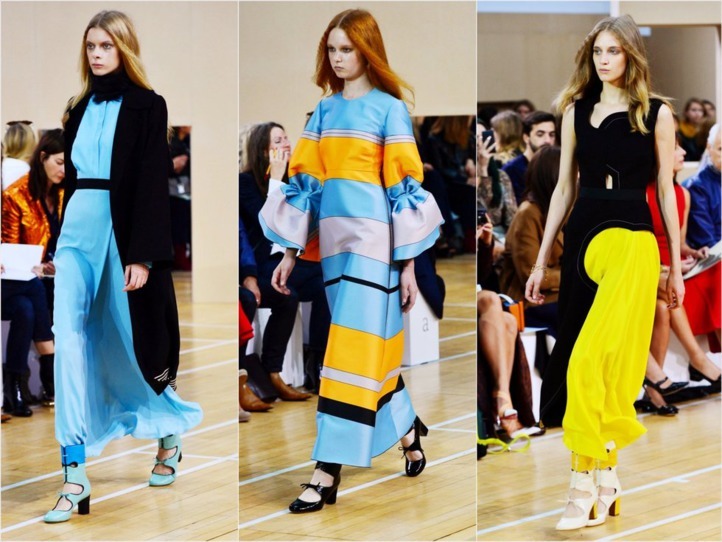 Stella McCartney referred to them as a true celebration of summer, exuding a vivacious and liberated spirit."